Hi everyone! I have swimsuits on my mind lately because of an upcoming warm weather vacation (yay!). 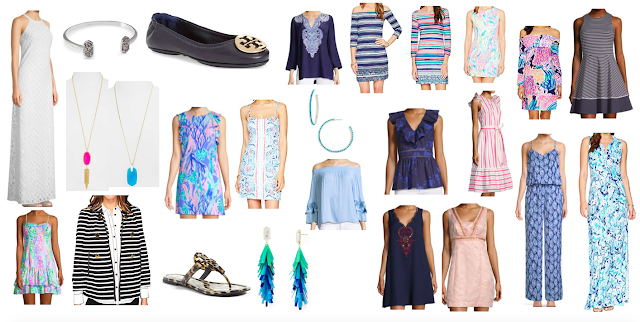 Here are some of my current favorites that I'm thinking about ordering. *This post contains affiliate links. That means that purchases made through these links may result in a small commission to me, at no extra cost to you. As always, all choices/opinions shared are my own. Affiliate links are what keeps this site up and running, so thank you for your support! I love the nautical feel of this blue and white colorblock suit! The removable braided rope belt is such a fun accent! This bikini screams sophistication! It's neutral, but with a little bit of interest. 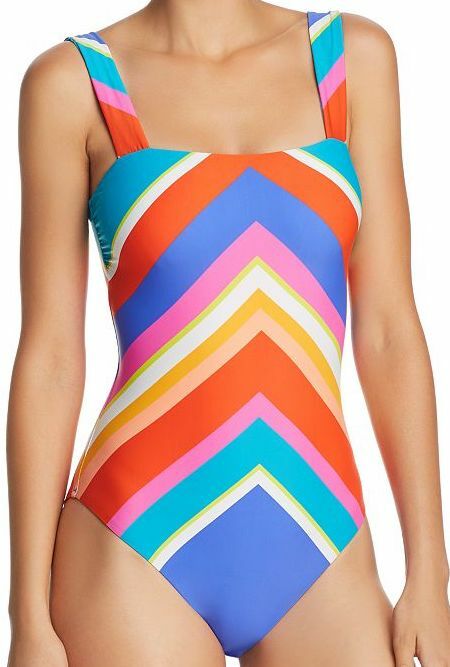 I love the retro feel of this swimsuit, with the underwire top and high waisted bottom! The straps are adjustable, which helps this top fit perfectly. Over the years, I've noticed that Trina Turk constantly makes fun and cute swim every year! This bikini will keep everything in place - no strings that can come undone on this one! 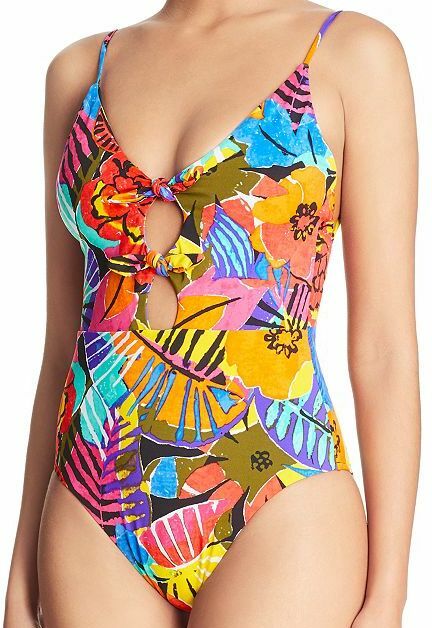 This lattice one piece from Lilly Pulitzer is so flattering on many different body types! Several years ago, I pinned a very similar swimsuit on my Pinterest board, but I was never able to track it down. This bikini is at the very top of my wishlist! 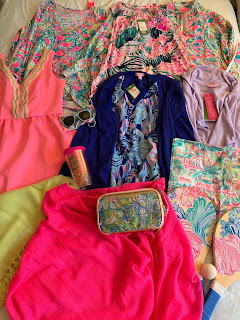 This print is so perfect for a tropical beach! As soon as I saw this swimsuit, I knew I had to have it. This pattern is so cute! I love the white snap details! This classic bikini also comes in black. This light aqua color is so flattering on lots of different skin tones! This Marysia dupe is only 1/3 of the price! I'm a sucker for a solid swimsuit with strappy accents!